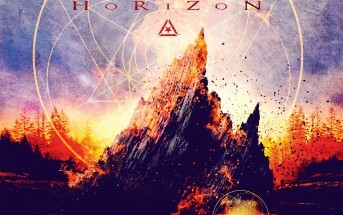 Horizon (music video) by Mindshift – This is the official music video for the song ‘Horizon’ by Mindshift – a progressive melodic deathcore band from Stockholm, Sweden. The band’s melodic style of music fuses the best elements of melodic metalcore, death core, and progressive metal which lands them among some of the best metalcore bands in the genre. 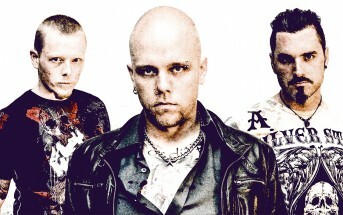 So far, they have released their debut EP ‘Evilution’ (2013), and two full length albums, ‘In Time’ (2014) and their latest effort ‘Horizon’ (2016), which was produced by the band and Johan Lund. Grab yourself a free download of this song. Lyrics: Being tied to one special thing like ropes around your life everyday you are setting it free but the ropes are squeezing it tight the world is passing infront of you waiting for you to get free but the ropes are squeezing you tight One life begins, another ends, What is life for One man stands, another falls, What is life for then I ask myself what will it take for this horizon to stay, to maintain now I am greatful for everything that I see, I feel and breath that I do Feel On these broken legs I stand fighting an eternal war the reason I am fighting is that I know that there is something wrong with this life the days, filled with blame it´s our place but I ask myself what will it take for this horizon to stay One life begins, another ends, what is life for One man stands, another falls, What is life for then I ask myself what will it take for this horizon to stay (to maintain) now I am greatful for everything that I see, I breath and feel.